FREE – advance registration required. 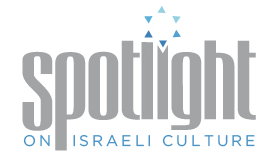 Join the members of Israel’s Diwan Saz Interfaith Ensemble for an intimate exploration of the instruments, forms, and styles at the heart of their music. The group’s repertoire encompasses ancient musical styles from Central Asia, Persia, Turkey, and the Holy Land, and is heavily influenced by Sufism and improvisation. Learn about the melodic, harmonic, and rhythmic rudiments of these styles and discover their intricacies with modern masters. The session is open to vocalists and instrumentalists of all ages, with intermediate facility on their instrument. Listen to two FREE tracks from Diwan Saz here and here.